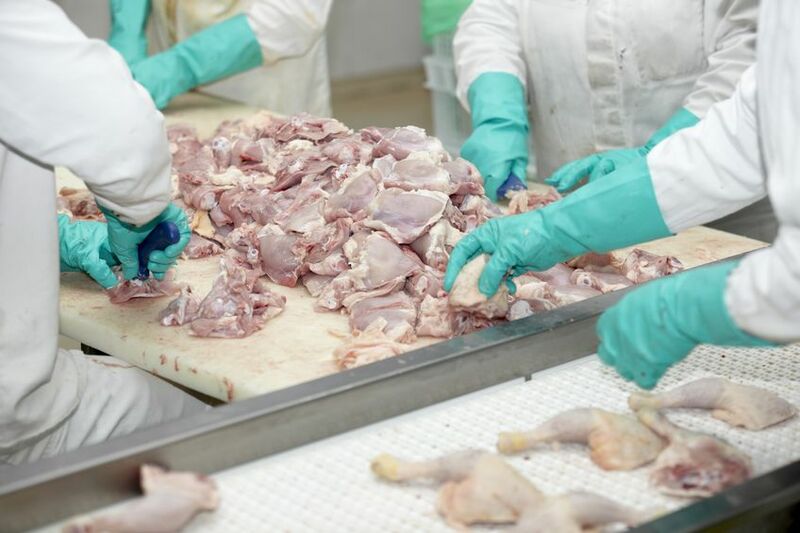 Poultry Sanitation & Clean-Up - Hydro-Thermal Corp.
A certain poultry slaughter plant needed supplemental heating to their current Ludel heater during high demand production requirements in the sanitation and cleaning process. They needed: instantaneous hot water at up to 400 gpm [109 m³/hr], improved production with reduced cycle times and better temperature control. Hydro-Thermal® installed EZ Heater® model H2040 with a Medium (M) diffuser to meet the side-arm system requirements. The end user has realized the inherent advantages of the new unit’s design through instantaneous hot water, improved production with reduced cycle time, and eliminating scaling and fouling.